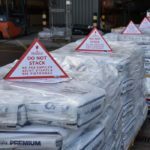 Do Not Stack Pallet Cones are a simple and effective way to protect goods on pallets and other products from being damaged in transit or storage due to double stacking or overstacking. These highly visual pallet caps, available in two sizes, are easily secured to the pallet. 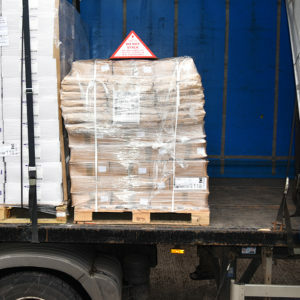 This provides a clear message to operative that the goods on the pallet are fragile and nothing should be placed on top of it. Eliminates the risk of products being damaged as a result of double stacking. Bold red and white print immediately indicates a warning message, even from a distance, ensuring that the instruction is clear. This makes it ideal for fast moving warehouse operations, especially for third-party logistics and transport companies. Unlike labels, that could easily be accidentally covered by pallet wrap or tape and therefore missed, pallet cones will make sure that everyone notices. 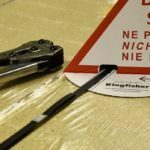 Multi-lingual print includes the most commonly spoken European languages, English, French, German and Polish, making the cones suitable for all markets. Made from specialist cardboard and supplied flat to reduce storage space but offers excellent strength, allowing the cones to be reusable and recyclable. With a great design including pre-cut slots and edge tabs, these cardboard pallet cones are quick and easy to secure to a pallet or product using tape or strapping, ensuring that it is always protecting the load, wherever and whenever they go. Forms a 3 sided warning triangle to instantly make operative aware if potential issues if double stacked. Often used for pallets with uneven surfaces to reduce the risk of unstable loads as well as preventing crushing. Printed with simple assembly and usage instructions to ensure maximum productivity. These do not stack cones are used widely across many industries, helping to reduce and prevent the cost of product damage in transit due to overstacking and unstable loads. Food & Drink Industry – Many products such as cakes and snacks are often sent on courier networks and the goods are very easily crushed, although this may not be obvious from the outside of the pallet. However, this is much less likely to happen is a pallet cone is placed on top of the pallets. Construction Industry – Aggregates and other products are often palletised but have an uneven surface, therefore, making it very unstable if another pallet is placed on top. Attaching a do not stack cone is a simple way to prevent this happening. Glass & Glazing Industry – Due to the fragile nature of these products, it is certainly advisable to place a pallet cone on any pallets of glass and similar materials. Electronics & White Goods – Crushing and technical damage can easily be caused if other products are stacked on these products, even if on a pallet. Lighting & Homeware Products – These products are also often sent via third-party logistics and therefore it is very important to make sure the message is very clear, something easily achieved by using a pallet cone. Chemical & Pharmaceutical – Pallets of goods often contain harmful substances and could easily topple is double stacked, creating a risk to the environment and people as well as product damage. A pallet cone can make sure the message is not missed.